Opens into two large compartments, complete with business organizer, laptop or tablet slot and enough space for an overnight trip. 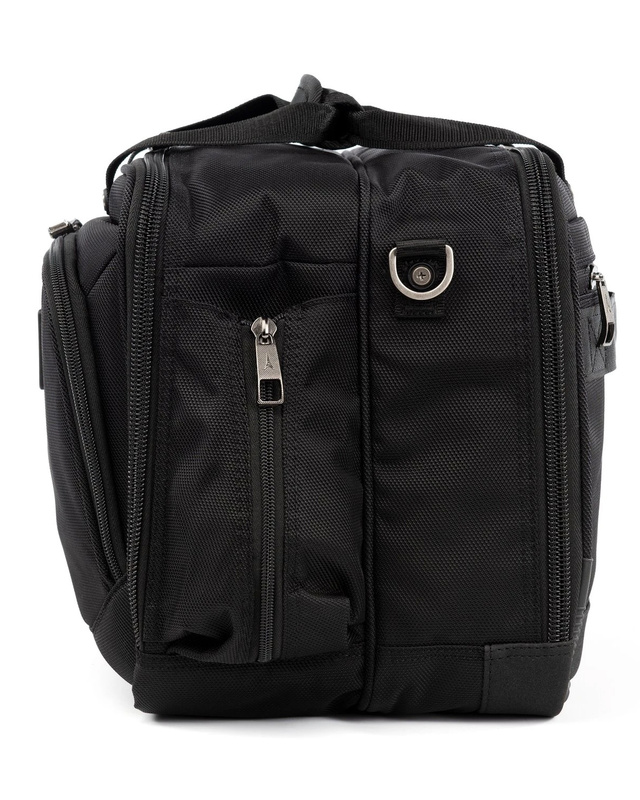 Multiple interior mesh and zippered sections – 2 main compartments, each 3 ½ "
Review: I love this bag! Works great for toiletries and hair blower a a couple changes of clothes!! Review: I liked the size of the tote. A bit smaller at the base. Review: This is a great all-around briefcase. I am a regular business traveler, not a pilot. 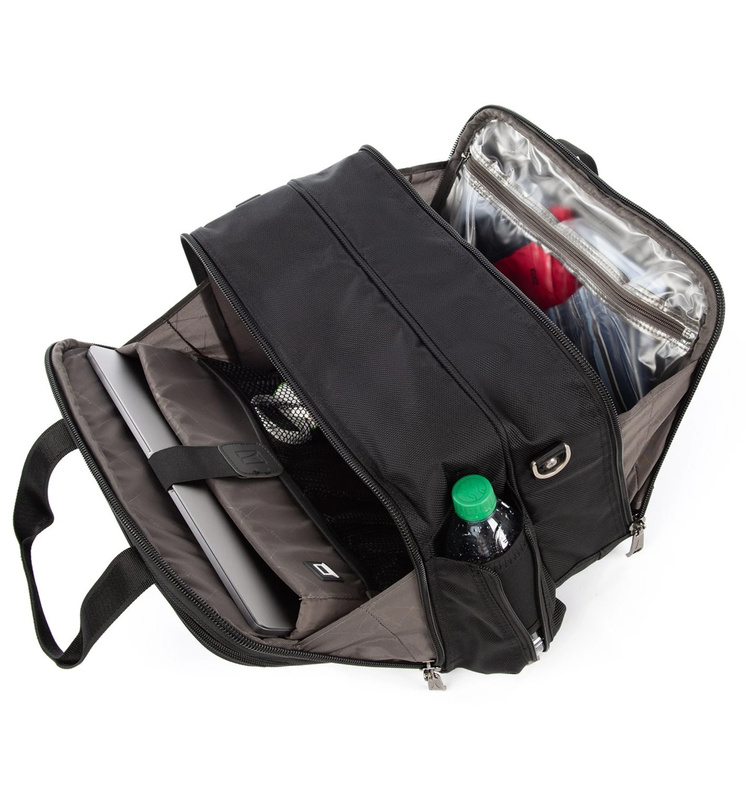 This bag works very well in tandem with the TravelPro 22 inch rollaboard. 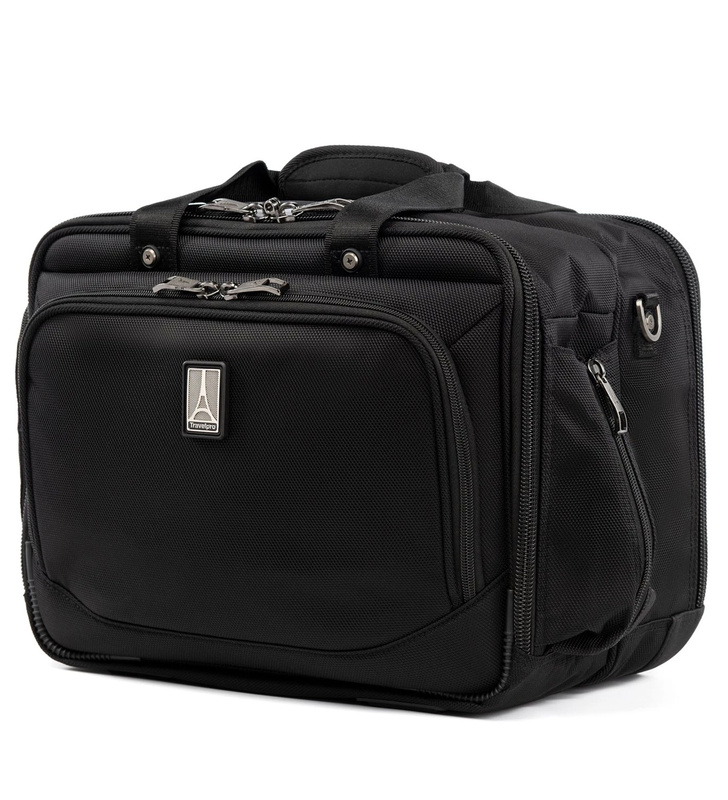 This bag has all of the right compartments and pockets and is the right size. It slips onto the rollaboard, which stays upright when both are parked. Heavy duty nylon, zippers and reinforced corners. Presentable as a business briefcase. This is now my all-purpose lawyer's briefcase.